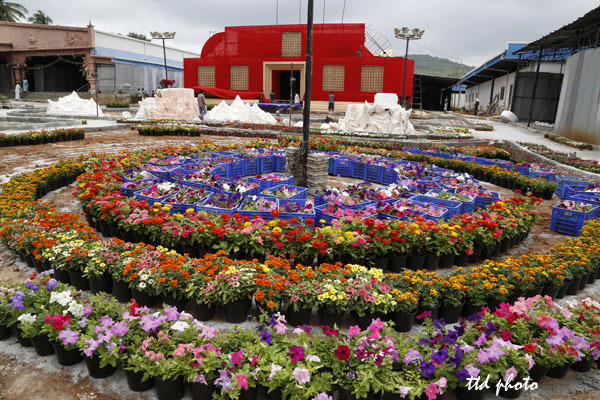 TIRUMALA, SEPT. 20: The garden department of TTD which enthralls millions of pilgrims with its innovative floral themes every year during annual brahmotsavams, is gearing up to attract the devotees this year too. 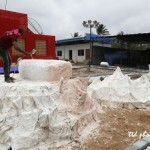 The special attraction is going to be the sand art, for the first time not only in Tirumala but in entire state of Andhra Pradesh. Two girl students of Fine Arts from Mysore, Ms Gauri and Ms Neelambika will be showcasing their expertise on this innovative art. 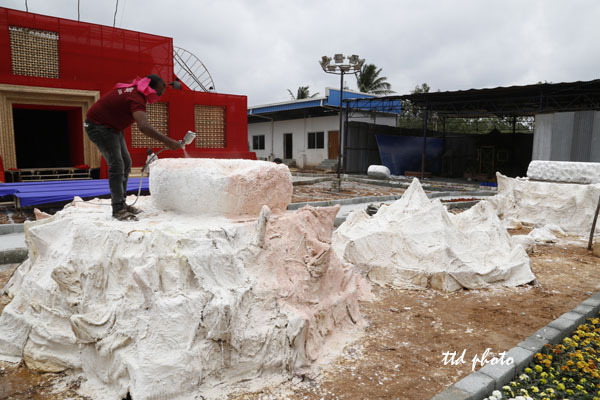 Elaborating on the themes that will be coming up in the garden expo, the Deputy Director of TTD Garden wing Sri Srinivasulu said, about ten mythological themes will be erected in the expo this year. Artistes from Karnataka, Tamilnadu apart from AP are putting their efforts days and night and the expo will be ready in the next five days. 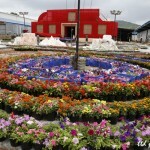 This year Sand Art will remain as a special attraction”, he added.